When I got up this morning it was -8 degrees. Yes, that is MINUS 8; no degrees at all as my friend in sunny Florida would say. We are just a few weeks into winter. My weather app says its going to get colder still. To me, once its below 10 degrees, it doesn’t matter any more. Its just too cold! Some people love this cold weather, although I have never met any of “those people”! This weather make me think of soup. Nothing like a nice hot bowl of soup to help warm you up. 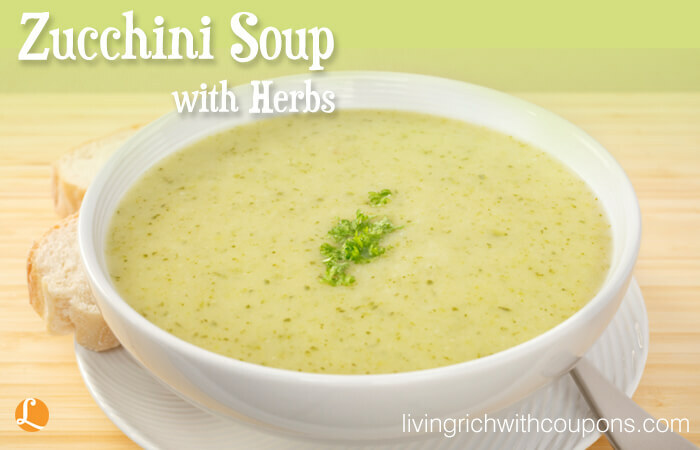 I’ve been thinking about a few different recipes that I have for soup but I have decided to share this one today. I’ve made it for years and years and it has always been a crowd pleaser. I like this soup for many reasons. 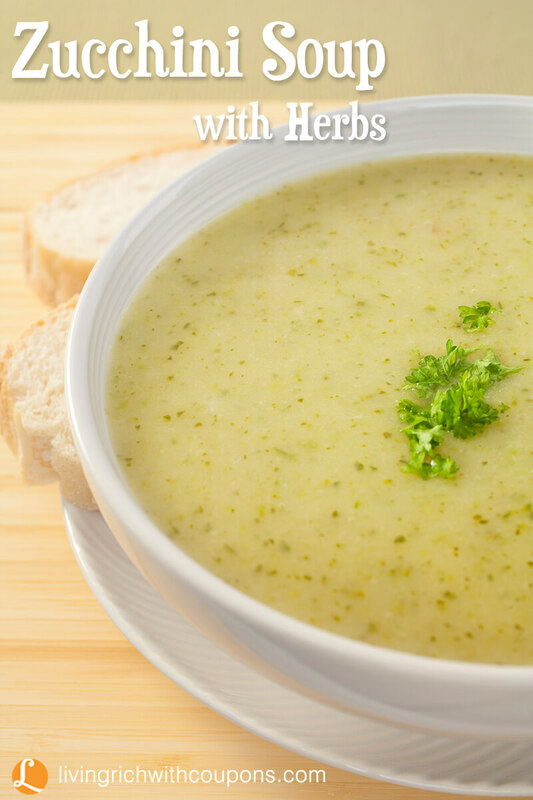 Its tasty, easy to prepare and its a nice thick soup that is not overloaded with cream, flour or butter. Give it a try and let me know how you like it! – 2 large (10-inch size fresh zucchini, about 5 cups chunks, or 4 cups shredded. 1. Heat butter in large saucepan. Add zucchini, potato and leek or onions. Cover. Steam for about 2 mins. on high heat, shaking pan occasionally to prevent sticking on the bottom. 2. Add water or broth. Lower heat to medium low. Simmer until potato is tender, about 15 min. 3. Put mixture into blender or food processor. Puree until smooth. 4. Return to saucepan. Add herbs. Add milk. Reheat. New $0.50/3 Campbell’s Chunky Soup or Chili – Only $0.92 at Wegmans & More! New $1/1 Robitussin Coupon – FREE To Go Pack at Walmart!